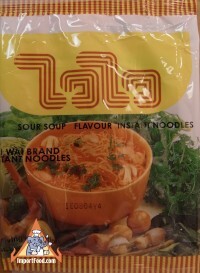 WAI WAI brand are the original Thai instant noodle. We are delighted to offer this. For over 40 years Wai Wai has been a familiar, original taste in Thailand, but not as well known overseas except for their famous rice vermicelli. This is "Tom Yum" flavor. 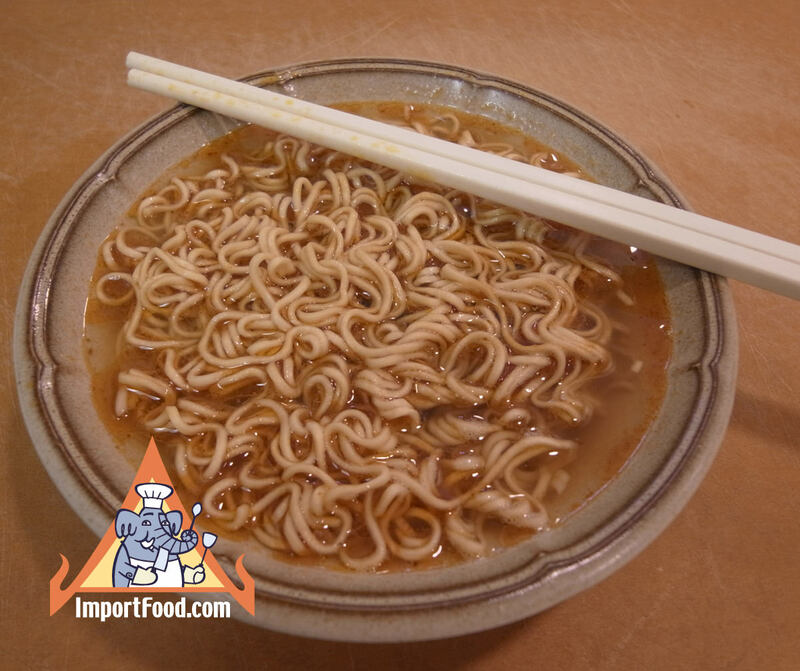 Great quality instant noodles, with nice tom yum flavor, and mild chile heat (not very spicy). Inside each package are three small flavor packs (palm oil, dried chile powder, and salt/pepper). 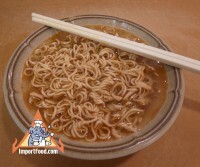 Simply put the noodles and spice into a bowl, cover for 3 minutes, and it's ready to serve. We also offer Wai Wai Classic Oriental flavor and our favorite: Pad Char. 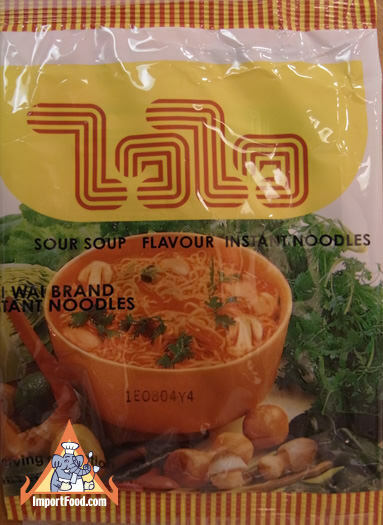 Ingredients: wheat flour, palm oil, salt, chilli. Product of Thailand.